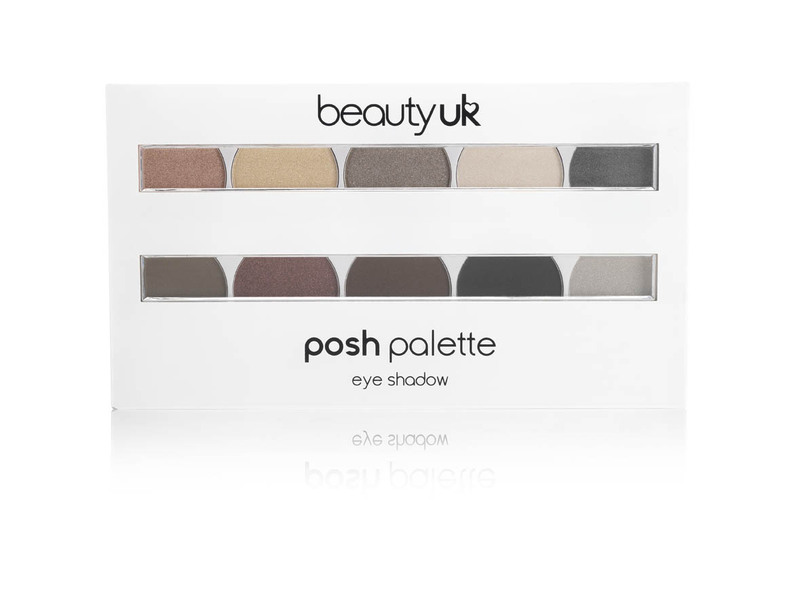 Today I am going to be doing a little review of an exciting new palette from the new Posh Palette range launched by Beauty UK. These palettes retail at £5.99 and if you can get them on a 3 for 2 deal you can get all 3 for just £11.98! The palette I received to review is the Masquerade palette which consists of smokey colours but there is also the Eden palette with neutrals and the Festival palette with fun bursts of colour. The palette packaging is very sleek with a simple white plastic case with black text design and it's much larger than the usual Beauty UK palettes. There is also a mirror on the inside lid which is a bit small to be honest and not of a huge benefit for application, which could also be said for the bog standard double ended foam top applicator which I never use. (Good though if you are just starting out and don't have pro brushes though). The eye shadow pan size is similar to MAC and very different to the usual size for Beauty UK which is small but domed whereas now it's flat but bigger. I much prefer this format as it looks a lot more professional, I've always thought the generic palettes looked a bit child like and cheap in the past. I know better than to judge completely on packaging and the swatches have always been great, but let's face it we all want a pretty looking addition to our makeup kit. I think this is why I have so many Urban Decay palettes, they almost become fashion accessories with their awesome palette designs and look so nice in your handbag. Below are my swatches, these are a bit of a mixed bag with some very sheer but others very pigmented. I found the darker colours had a lot more payoff on the skin and for me worked really nicely. Over all, I do think the palette is a bargain and good value for money and would make a cute addition to any makeup collection. 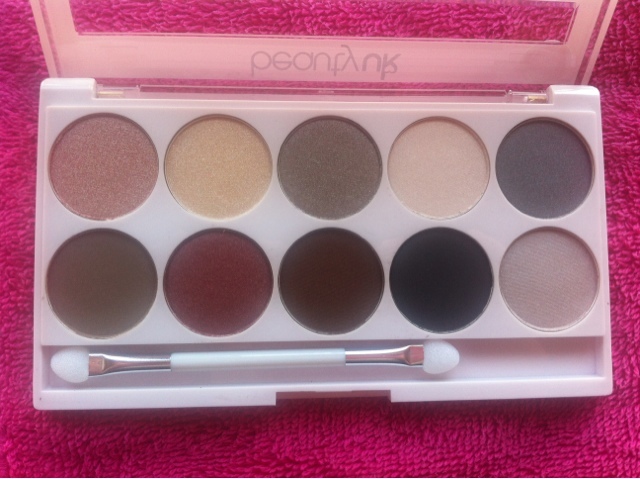 Have you tried this palette yourself? What did you think?